Any Morrissey fan should be familiar with the name Boz Boorer. One of Morrissey's main song writing partners for the last couple decades who along with Alain Whyte are responsible for most of the classic Morrissey tracks we all know and love. For me particularly the albums 'Your Arsenal' and 'Vauxhall & I' which are two of my fave Morrissey solo records in which he was a big part of. 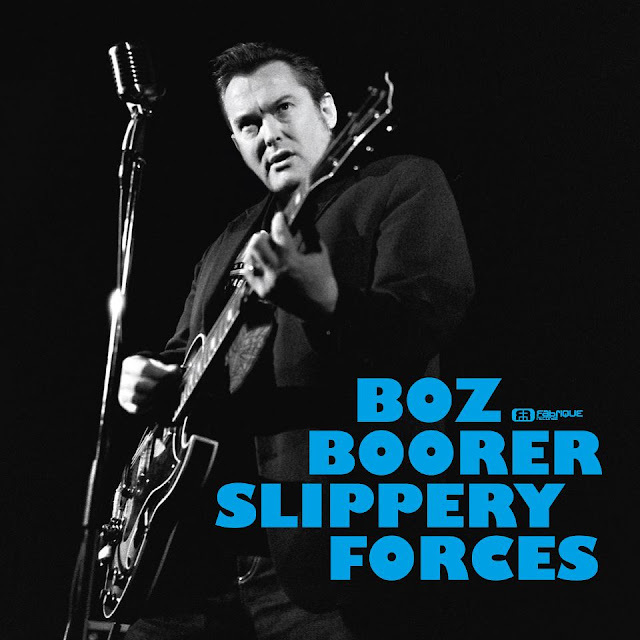 Fast forward to 2012 and Boz has a new solo single "Slippery Forces" which in addition to writing the track also handles vocal duties and lo and behold it's pretty good stuff, but I am biased as to me he is a living legend just like the Moz man himself. His upcoming album 'Some of the Parts' is scheduled for release later in the year. Check out the video for "Slippery Forces" which has him playing multiple roles, plus a remix by Konsorten TM. If you like what you hear you can check out/buy the release with additional remixes on iTunes here.